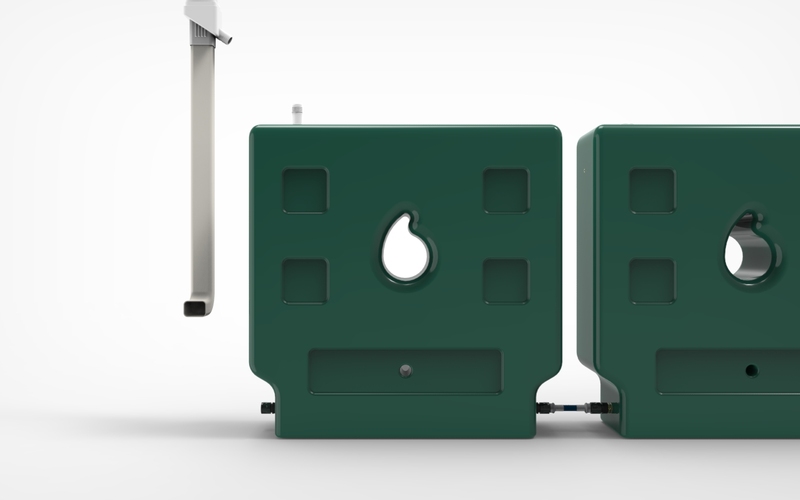 Raindrop Box 50 is our flagship product -- a simple rain collection system that lets you make a difference in a drought-stricken world, without having to be a DIY geek. You just click it once to buy it, and click again to extend your system in increments of 50 gallons. It's just that easy. Starter Package: includes an Oatey Mystic downspout diverter so you can capture water from your roof gutter system. Extension Package: includes a short hose with two connectors and a plug for the top hole. Both packages are configured with quick-connectors on each exit port at the bottom, compatible with most garden hose accessories and with our Extension Package connector hose. This was originally a Kickstarter project in 2015, a year of historic drought in California. The product is no longer in production but there is some remaining inventory available -- no shipping, but if you're local to the Bay Area, contact us and we can coordinate with you.